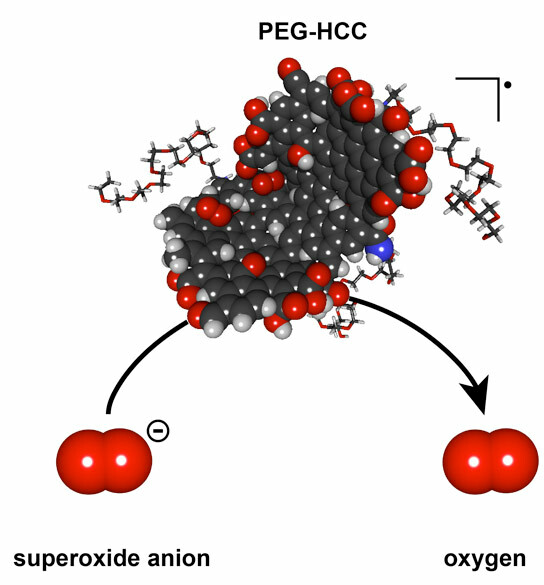 A polyethylene glycol-hydrophilic carbon cluster developed at Rice University has the potential to quench the overexpression of damaging superoxides through the catalytic turnover of reactive oxygen species that can harm biological functions. A new Rice-led study reveals how nanoparticles can quickly neutralize superoxides that are overexpressed by the body’s cells in response to an injury. Be the first to comment on "Nano-Antioxidants Quickly Neutralize Superoxides"